These free SEO tools can help you to fine-tune your SEO program and achieve top search engine rankings. All tools shown here are compliments of Developers Shed Network and SEOtools.com and are subject to their copyright restrictions. Additional Services: If you would like to improve your search engine rankings, we can help you with that as well through search engine optimization, repeat submissions, content development, link arrangements and more. 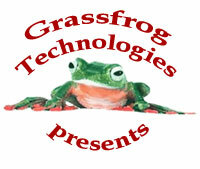 Click here to order additional SEO services through Grassfrog Technologies LLCn. Check your Google Page Rank without downloading the Google Toolbar. Enter a one or more domain names (domain.com or www.domain.com) up to 10 domains.